There is also an option for ‘Print at Home’ (PAH). All Dover fans now have the chance to experience our new VIP Platinum Suite for our home game against Solihull Moors on Saturday. A limited number of tickets are now available for only £20, yes, only £20, per person to sample what we have to offer. 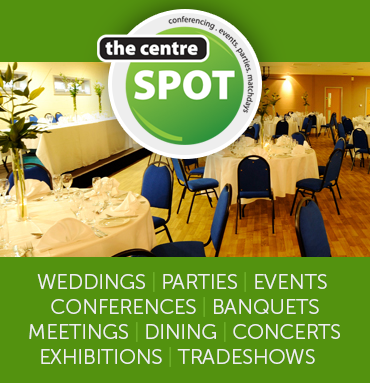 Platinum Suite for only £20.00 per person. Please note that you also have to pay entry to the game on the turnstile on the day. Deadline to buy your VIP experience is 4pm on Wednesday. 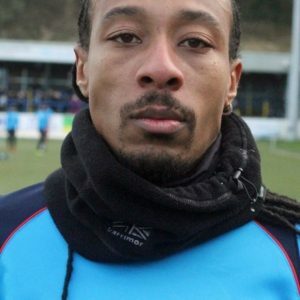 Please contact the club on 01304 822373, email commercial@doverathletic.com, or call into the office. Saturday (June 30th) is scheduled to be your last chance to purchase an early-bird season ticket, but the club have extended the deal until Monday (July 2nd). Any applications received by close of business on Monday will be honoured at the early bird prices. The news also means under-18s can still purchase an early bird ticket for £30 for the entire season. Under 11s will continue to be free on the gate. All tickets can be purchased by post (paying by cheque) AND at the club reception or by telephone using a Debit or Credit card. All tickets will be dispatched during the first week of July. Back the club and renew your season ticket now! We are now able to confirm details of the pre-season fixtures that have been arranged. 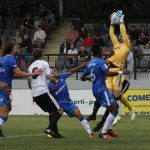 First up, Chris Kinnear’s squad will start the campaign with a trip to Deal Town on July 3rd followed by games at Hythe Town (July 10th), Folkestone (July 14th) and Chelmsford City (July 18th). 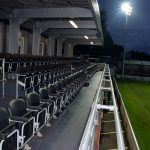 League One Gillingham will be the first side to visit Crabble and play on the new pitch when they arrive on July 21st before Welling United come calling on July 24th. Our final pre-season game sees us travel to Woking on July 28th. 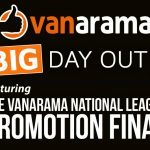 Admission to the home games is FREE for season ticket holders and under 11s while if you buy your ticket on the gate, it will cost £10 for the Gillingham game and £5 for Welling’s visit. All tickets can be purchased by post (paying by cheque) AND at the club reception or by telephone using a Debit or Credit card (fee may apply). Tickets are on sale now, with the early bird offer being available until June 30th. 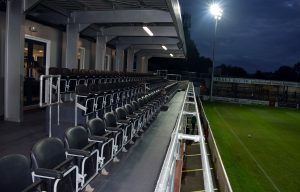 Dover Athletic are pleased to announce that all entry and season tickets prices will be frozen for the 2018-2019 season. In addition, early-bird season ticket purchases, which include all National League home games, pre-season games as well as giving the holder priority for cup tickets, will be again discounted. Tickets are on sale now, with the early bird offer being available until 30th June. 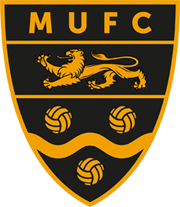 Tickets for our National League game at Maidstone United on January 1st (3pm) are now on sale at the club office at Crabble. 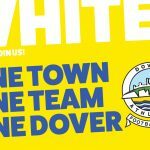 We have been allocated 600 tickets for the Gallagher Stadium and NO tickets will be available on the day for Dover fans. Office hours are 9am to 4pm, Monday to Friday. You will also be able to buy tickets in the office directly after Saturday’s game against Hartlepool United. Please note that there is a charge for debit / credit card purchases, this is to cover the cost of providing the service. Tickets for our National League game at Leyton Orient on Saturday are still on sale at the club office at Crabble. But you better be quick as they are only on sale until noon on Thursday. Office hours are 9.30am to 4.30pm. You will still be able to buy tickets on matchday, but not at the discounted price for purchasing in advance. 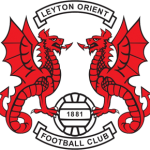 Tickets for our National League game at Leyton Orient on November 18th (3pm) are now on sale at the club office at Crabble. Office hours are 9.30am to 4.30pm, Monday to Friday. You will also be able to buy tickets on Saturday November 11th, the day of the Eastleigh game, in the Centrespot between 12.30-1.30pm. 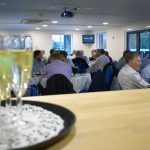 Looking for a new quality way to experience watching a game at Crabble? Why not get a table of eight together and try out our brand new VIP Platinum Lounge. The new “VIP PLATINUM CLUB” brings a new level of matchday experience to guests and offers the ultimate season ticket membership with all the benefits of the Premier Club and much more. All home league games and all cup games are included in the price of the VIP PLATINUM CLUB. Hosted lounge with large TVs and Projector showing the game. Three course meal, served at your table. Reserved undercover premium padded seating. Complementary tea, coffee and mineral water, plus dedicated bar before and after match. Complimentary matchday magazine and team sheet. Reserved Parking in our ‘Premier Club’ parking area. And as a special one-off for Christmas deal, a table of eight will cost you £500, £50 off the normal price. All of us here at the club appreciate your support. 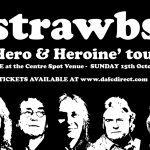 Make sure you don’t miss the unique opportunity to see one of the legends of British rock music up close and personal when the Strawbs take to the stage in the Centre Spot at Crabble on October 15th. The special one-off gig is part of the bands European leg of their ‘Hero & Heroine’ tour. The album of the same name has been listed by Rolling Stone magazine as ‘one of the 50 greatest progressive rock albums of all time’ and it is the band’s biggest seller worldwide. They have sold three million albums worldwide, including Bursting At The Seams,’ ‘Grave New World,’ and the beloved ‘Hero and Heroine,’ since their formation in 1967. 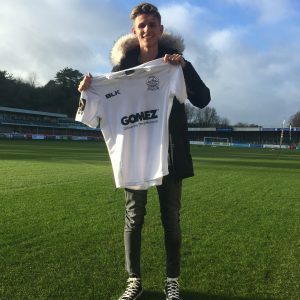 Founder member Dave Cousins, who has been described by All Music Guide as ‘the most talented Dylan-influenced songwriter to come out of England’, is also a personal friend of Dover Athletic chairman Jim Parmenter. The band, who are often mentioned in the same breath as progressive rock bands such as Yes, King Crimson, and The Moody Blues, actually started out 50 years ago as a bluegrass-based trio called the Strawberry Hill Boys. That same year, the group — now rechristened the Strawbs, and doing repertory well beyond the bounds of bluegrass music. In 1969, the Strawbs were signed to A&M Records and cut their first album, the acoustic-textured ‘Strawbs,’ that same year. Since then, the band went on to have seven consecutive albums in the Billboard Top 200 in the United States. The current Strawbs line-up comprises of Cousins, lead guitarist Dave Lambert, bass player Chas Cronk, and drummer Tony Fernandez, who recorded and toured together in the 1970s. They will be joined by keyboard virtuoso Dave Bainbridge of Iona, a band whose mystical blend of rock, folk, Celtic and ambient music has endeared them to audiences across Europe and North America for the last 25 years. This performance promises to be a remarkable evening spanning Progressive Rock and English Folk across the decades – do NOT miss out! There will a limited release of tickets for this intimate night.